You can't raise money if you don't ask! You can ask in person; through social media; or by email, letter or phone. When you do, direct the donor to your One Small Step page so they know where to contribute. Look for the templates in your Participant Center to use or inspire you to make your ask. And be sure to share your fundraising goal with your supporters. You will find that many people want to help you! Show your enthusiasm and be genuine. Thank your donors publicly on social media or privately through an email or postcard. Take that opportunity to give them more information about any news on the PWS research front or tell them of the progress your loved one is making, and then direct them to the FPWR Canada website and Facebook page so they can follow the impact they are making themselves. Say "Thank you" in a timely fashion and say it often! 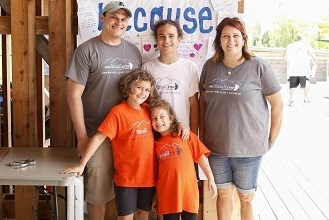 When our daughter was diagnosed with Prader-Willi syndrome, we felt so helpless. We were at the mercy of what the doctors told us and the research that was currently available; we couldn't possibly fund or create some miracle research or cure. My motivation is simple. She is 11, has the biggest smile, crazy red curles, loves to prank everyone, and fights everyday the things PWS tries to do to her body. When she was born I could not accept the doc or the geneticist who said life with pws would be bleak. Why we keep on Hosting! 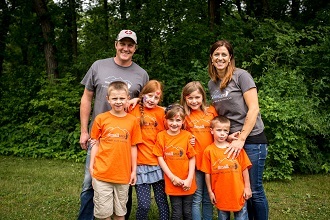 When we began our PWS journey on the day we received Brooke's diagnosis we cried, we panicked, and we went through the whole range of emotions that you get when you receive any life-altering news.